“It's been really interesting to be able to pursue a story with no reservations, because it's my own story"
Sophomore journalism student Anya Magnuson seemed perfectly healthy last November. Nearly five months later, she has almost 20 MRIs under her belt, close relationships with neurosurgeons at Mayo Clinic in Minnesota and a battle scar on the top of her head. But through the brain surgery and the therapy visits and the endless poking and prodding, she has turned her medical journey into art. What began as daily headaches quickly progressed to debilitating head pain and vision blackouts by early December. Magnuson realized something was seriously wrong at a routine checkup when she tried to hand her insurance card to her doctor. She was admitted to Mayo Clinic in her home state of Minnesota for the first time over winter break. Magnuson underwent MRIs, lumbar punctures, tests for fungal infections and more. Doctors gave her a shunt — a tube surgically put in her brain to drain cerebrospinal fluid — and performed a brain biopsy in early January. Roughly ten days later, she was discharged from the hospital. “I’d tell you what it is, but they actually don't know still,” she said. While it doesn't appear she had a stroke, doctors think she might have fungal meningitis, she said. Magnuson started taking photographs to document her medical journey in mid-February when she was admitted to Mayo for the second time due to an infection in her shunt. Post-biopsy and shunt surgery, Magnuson said she seemed to be recovering well and hadn’t experienced a headache in a couple weeks. “I actually felt OK enough to be bored,” she said. After being admitted to the hospital again for the infected shunt and finding herself still free of headaches, she started taking photos. Magnuson aims to capture her experience in all its glory and gore. She takes photos of her surgeons, her mom yawning in the hospital room, the injections she has to be given at home, the alarming number of pill bottles she has and the infected wound on the top of her head. Magnuson was just admitted to Mayo for the third time last week. She hopes to be recovered by this summer so she can accept a photography internship and return to ASU in the fall. As a photojournalist, Magnuson said this project has pushed her to improve her craft. She used a lens she had little experience with and was forced to focus on the shot more than she has before, for which she said she’s grateful. Magnuson said she never would have started her photography project without some encouragement from fellow photojournalist and Cronkite alumna Courtney Pedroza. Pedroza spent time in the hospital for valley fever — a disease Magnuson’s doctors haven’t ruled out — when she was at the same point in her college career as Magnuson is now. She said she regrets not creating a more polished project from her photos and tried to encourage Magnuson to take advantage of such a rare and interesting opportunity to tell her own story. Magnuson said he is proud to see his daughter take the gifts and skills she has and use them to create something positive. 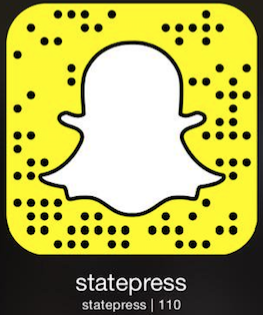 Editor’s Note: Anya Magnuson formerly worked for The State Press as a photographer.